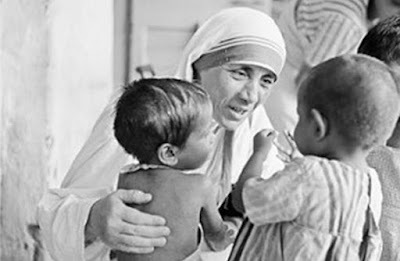 February- How do I evangelize? If you have a favorite Καθολικός διάκονος post or two from the past year, please feel free to share by leaving a comment. Since, at 49-50, I am (finally) reading the works of J.R.R. Tolkein with my 10 year-old son (we read The Hobbit last year and we're working on The Fellowship of the Ring right now) I wanted to "get to know" Tolkein a bit better. To that end I began reading Mark Horne's J.R.R. Tolkein. Horne writes about a club, founded while Tolkein was in his last year at King Edward school in Birmingham, just prior to his going to Oxford: Tea Club and Barrovian Society (T.C.B.S.). This group, all of whom, except Tolkein and Christopher Wiseman, perished in the Great War, strikes me very much as the precursor of the Inklings. What grabbed my attention in Horne's account of the T.C.B.S. was his description of the kind of cultural resistance in which Tolkein and his companions sought to engage. It is, I believe, precisely the kind of resistance we need to engage in now with even greater fervor, especially with the fine arts and the humanities coming under such fierce assault. It seems obvious to me that this assault seeks to further erode our humanity by speeding up the arrival of an even less humane society by further eviscerating culture. The vision of the T.C.B.S. was anti-secular and yet non-moralistic. To take one example, when Wiseman, Smith, and Gilson once met at a time Tolkien could not be with them, they complained together about how George Bernard Shaw and Henrik Ibsen had ended Victorian moralism in drama but left a vacuum. Ibsen had produced what were considered scandalous plays because they showed how immorality could and did sow destruction in respectable households. Shaw was influenced by Ibsen and wrote plays of social criticism. Such resistance is not stodgy in the least and is defiantly non-ideological. A fine example of this is a recent piece on the 24/7 blog by Peter Greig, "The Defiant Hope of Rock Anthems...". In his post, Greig discusses the depth of some of the more meaningful contemporary music. In particular, he writes about U2 and Patti Smith performing together Patti's "People Have the Power" in response to the terror attacks in Paris last November. In my view, Grieg, rightly describes Smith's song as "a 1988 punk-rock reworking of various eschatological longings for peace and justice expressed by the prophet Isaiah - see chapters 11 and 43, for example." Such "reworkings" are not rare. As with any art form there is good and bad, beautiful and horrendous, and everything in between. Artists, like Patti Smith, U2, and others, work on the basis of a lot of assumptions as to what their listeners know. Painting with a broom, many cultural commentators blame all contemporary artists for this lack of knowledge. But that strikes me as quite wrong. In fact, I believe the opposite is the case: artists like Smith, U2, and many others working in the musical, literary, visual, and plastic arts do all in their power to conserve and hand along all that is worthy, often making worthwhile contributions of their own. 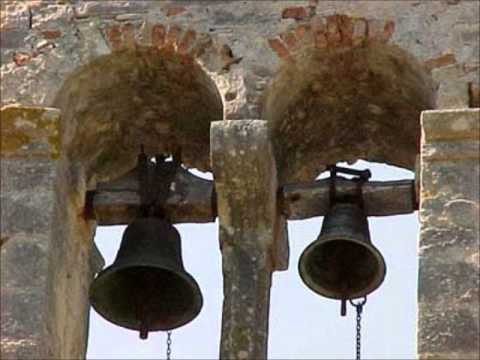 Consider U2's song "Vertigo"- it begins: "Unos, dos, tres, catorce!" [not quatro]. Does this refer to first part, second book, third chapter, fourteenth verse = Exodus 3:14? In any case, I think the task that lies before us is restoring and (dare I say?) even deepening our cultural/religious awareness. 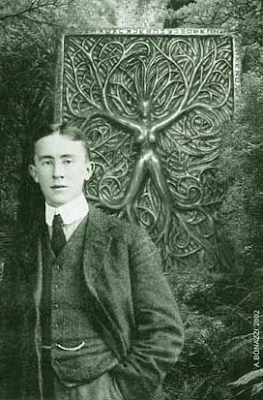 As we enter the new year, the relevant question for us, as it was for Tolkein and his young friends about 100 years ago, ought to be, How do we engage creatively? "For where am I to go? 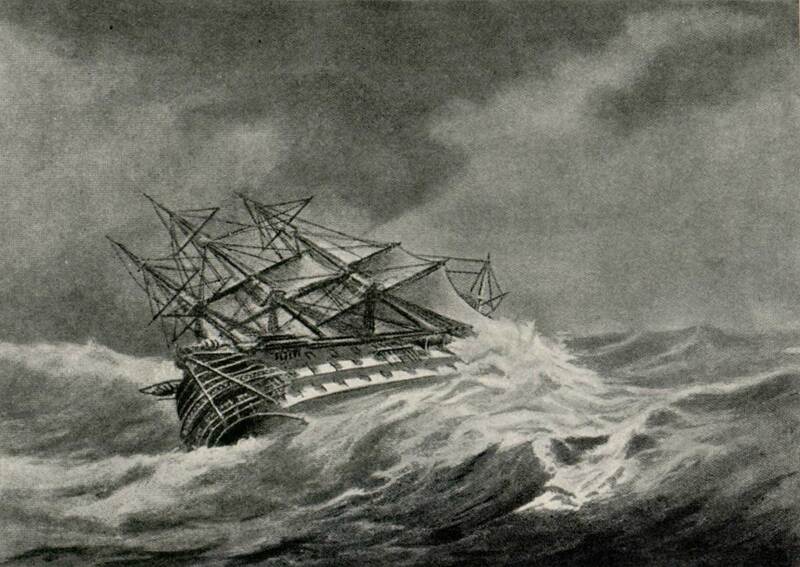 And by what shall I steer?" The sun went down. Bag End seemed sad and gloomy and dishevelled. Frodo wandered round the familiar rooms, and saw the light of the sunset fade on the walls, and shadows creep out of the corners. It grew slowly dark indoors, He went out and walked down to the gate at the bottom of the path, and then on a short way down the Hill Road. He half expected to see Gandalf come striding up through the dusk. At the age of 50 I am reading J.R.R. Tolkein's works for the first time. Just prior to turning 50 last month, my 10 year-old son and I finished The Hobbit and soon after began reading The Fellowship of the Ring. This afternoon we read the first half of the third chapter, "Three is Company." It's about Frodo's leaving the Shire on his ill-defined quest. I found it rather moving. What a great piece of writing! It's weird in life that everything grows more beautiful as you prepare to leave it behind. It's like seeing it for the first time. Today is the Feast of St Stephen. It is my saint day because "Stephen," being my father's name, is my middle name from birth. When I was baptized and confirmed at age 24, I kept Stephen as my Christian name. Then there is the matter of my being a deacon. Stephen, who was likely a Greek-speaking Jew, was one of the seven men set apart by the apostles to the serve the early Christian community in Jerusalem (see Acts 6:1-7). The issue that gave rise what is traditionally, going back at least to St Irenaeus of Lyons, who lived from the early second century to AD 202, viewed as the institution of the diaconate, was the dispute that arose because the Greek-speaking members of the early Jerusalem community, who lived communally and shared all things in common, started to complain that Greek-speaking widows were receiving the short-end of the stick in the daily distribution. Of the "seven" we only learn more about Stephen and Philip. Stephen's story, which culminates with his martyrdom, thus making him proto-martyr, is conveyed in Acts 7. The sacred vestments that the ministers are wearing at the altar are no longer the immaculate white of yesterday. They are red, the symbol of blood. Next to the sweet contemplation of a God-child warmed by His Mother’s love, what a contrast is the vision of Stephen dying under the pelting hail of stones, covered with blood! With what horror our thoughts move from the angels’ song and the affectionate faces of the shepherds to the shouting figures of Stephen’s stoners, throbbing with hatred! Bl Pope Paul VI sagely taught, "Modern man listens more willingly to witnesses than to teachers and if he does listen to teachers, it is because they are witnesses." "Martyr" is simply the Greek word for witness. From the beginning of our holy order, deacons have been uniquely situated to bear witness to our Lord Jesus Christ through sacrifice. Our witness, brothers, is needed as badly today as ever. 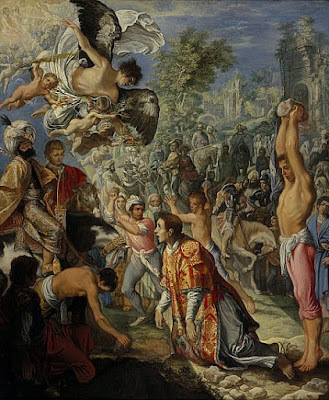 St Stephen is the patron of this blog and has been practically from the beginning. My mission here remains "to foster Christian discipleship in the late modern milieu in the diakonia of koinonia." St Stephen, deacon and martyr, pray for us. Christ is born for us, let us rejoice in the day of our salvation! Let us open our hearts to receive the grace of this day, which is Christ himself. Jesus is the radiant “day” which has dawned on the horizon of humanity. A day of mercy, in which God our Father has revealed his great tenderness to the entire world. A day of light, which dispels the darkness of fear and anxiety. A day of peace, which makes for encounter, dialogue and, above all, reconciliation. A day of joy: a “great joy” for the poor, the lowly and for all the people (cf. Lk 2:10). On this day, Jesus, the Saviour is born of the Virgin Mary. The Crib makes us see the “sign” which God has given us: “a baby wrapped in swaddling cloths and lying in a manger” (Lk 2:12). Like the shepherds of Bethlehem, may we too set out to see this sign, this event which is renewed yearly in the Church. Christmas is an event which is renewed in every family, parish and community which receives the love of God made incarnate in Jesus Christ. Like Mary, the Church shows to everyone the “sign” of God: the Child whom she bore in her womb and to whom she gave birth, yet who is the Son of the Most High, since he “is of the Holy Spirit” (Mt 1:20). He is truly the Saviour, for he is the Lamb of God who takes upon himself the sin of the world (cf. Jn 1:29). With the shepherds, let us bow down before the Lamb, let us worship God’s goodness made flesh, and let us allow tears of repentance to fill our eyes and cleanse our hearts. This is something we all need! He alone, he alone can save us. Only God’s mercy can free humanity from the many forms of evil, at times monstrous evil, which selfishness spawns in our midst. The grace of God can convert hearts and offer mankind a way out of humanly insoluble situations. Where God is born, hope is born. He brings hope. Where God is born, peace is born. And where peace is born, there is no longer room for hatred and for war. Yet precisely where the incarnate Son of God came into the world, tensions and violence persist, and peace remains a gift to be implored and built. May Israelis and Palestinians resume direct dialogue and reach an agreement which will enable the two peoples to live together in harmony, ending a conflict which has long set them at odds, with grave repercussions for the entire region. There is something strange, something mysterious about our gathering here in the dark of a winter's night. In the milieu in which we live, as Catholics in Utah, it is no doubt considered by many of our neighbors as downright weird. What makes our gathering mysterious, or sacramental, if not weird, is the Mystery that draws us here in order to draw us into Itself. The word "manger" originates from the Latin word mandere, a verb meaning literally to chew, but more readily translated as “to eat.” Very often when we consider our Lord being laid in a “manger” we only think about the poor circumstances in which He was born that necessitated Him be placed in a feeding trough for animals instead of a cradle, or a bed. While such a consideration is certainly appropriate, there is another aspect we frequently ignore: the connection between Christ being laid in the manger and Him being laid on the altar under the appearance of bread and wine to be eaten and drunk by us. Given the centrality of the Eucharist in St Luke's Gospel, which reaches its culmination when the resurrected Lord was made known to the disciples whom He accompanied along the road to Emmaus “in the breaking of the bread” (Luke 24:13-35), this no fanciful leap. Preaching on the Eucharist, Augustine observed, “what you see is simply bread and a cup - this is the information your eyes report. But your faith demands far subtler insight: the bread is Christ's body, the cup is Christ's blood” (Sermon 272). Indeed, this is a great mystery. 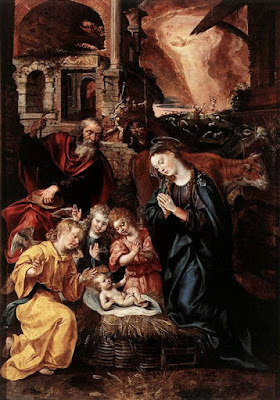 This great mystery is only made possible by the mystery of the Father’s eternally begotten Son taking on flesh in the womb of the Blessed Virgin Mary and being born into the world. Because the Eucharist is the mysterium tremendum laid before us in a very ordinary way, it is not intuitively obvious to the casual observer that any transformation takes place, just as it was not obvious to the vast majority of those who encountered the Lord during His earthly ministry that He was not only the Messiah, but the very Son of God. Those of a scientistic mindset demand that what happens in the Eucharist be made explicit and empirical, the satisfaction of which would reduce the mystery of God-made-man-for-us to a cheap magic trick. Such a demand, far from satisfying reason, falls far short of any reasonable inquiry into truth, into reality - the reason there is something rather than nothing. Note that I use “scientistic,” not scientific. Because faith and reason are not at odds, but are complementary, true science can account for the Eucharistic mystery. Those who practice true science can account for the Eucharistic mystery because they recognize it is only because of the mystery made manifest in the Eucharist that there is anything at all. By contrast, scientism is perhaps best understood as the uncritical application of scientific, quasi-scientific, or even pseudo-scientific methods to anything and everything. To borrow a phrase from Dr Michael Martin: “scientism is uncertainty masquerading as assurance.” The irony is this is exactly what those of a scientistic bent assert people of faith do. In the words of Albert Einstein: “The eternal mystery of the world is its comprehensibility.” Nonetheless, a person of genuine faith grasps, as did Einstein, that she can never reduce the Mystery to her measure. It's important to grasp that the mystery of God becoming man in the womb of a virgin and becoming bread and wine for us are not two mysteries, but one Mystery. It's equally important to understand the words “sacrament” and “mystery” are synonymous. These words refer to the same thing, namely our encounter with the living God, which encounter is only possible because of the Incarnation, when eternity stepped into time, when infinity inhabited finitude. The late Catholic theologian Edward Schillebeeckx, in his still important book, published 50 years ago, Christ the Sacrament of the Encounter With God, expressed his belief that sacraments should not be consigned merely to dogmatic theology, or even the study of liturgy. Instead, he insisted that sacraments are “the properly human mode of encounter with God.” All human encounters with God, according to Schillebeeckx, are at least implicitly sacramental. In other words, our encounters with God are not immediate, but mediated. So the bread and the wine are the media, the primary way, we encounter God through Christ in the power of the Holy Spirit. Every time you participate in the Eucharist you experience the entire Paschal Mystery. What is the Paschal Mystery, which, in the deepest sense, constitutes reality? The Paschal Mystery is Christ's birth, life, passion, death, resurrection, ascension, and glorious return. The seasons of the liturgical year, of which Advent is the first followed by Christmas, are depicted on our liturgical calendars in a circle. The liturgical year reaches its climax with the great Easter Vigil. We observe the seasons of the liturgical year not only to focus more intensely on a particular aspect of the Paschal Mystery, let alone to celebrate the past; we do so that through our participation in this great Mystery we encounter God. Encountering God kills you, but you die only to be resurrected and reborn. Our resurrection, our rebirth, which cannot happen apart from the Incarnation, is God's work of grace, not something we deserve, let alone something we could do for ourselves. We don't make the Eucharist. The Eucharist makes us. St Augustine exhorted: “Be what you see; receive what you are” (Sermon 272). This transformation is well-described by the prayer that is uttered sotto voce as the water is poured into the wine at the altar: “By the mystery of this water and wine may we come to share in the divinity of Christ who humbled himself to share our humanity.” The only empirical evidence that the bread and wine become the body and blood of Christ our Lord are the transformed lives of those of us who partake of it. Tonight, when you come forward to receive Christ, make your hand the manger from which you will eat the Mystery who not only made us, but came to incorporate us into Himself. It is something of an end-of-the-year tradition here on Καθολικός διάκονος to post an overarching philosophical-theological-political piece. This year's post was prompted by an article on The Atlantic's website: "Obama and the Wrong Side of History." I highly recommend reading the piece in its entirety. This post is not an effort to summarize the piece. I simply offer an inevitably incomplete and admittedly somewhat rambling reflection on the subject. What gave rise to my reflection is this from the article: "The problem with this kind of thinking [being on the right or wrong side of history] is that it imputes agency to history that doesn't exist." President Obama is not the only U.S. president who has believed in what is often termed "the Whig view of history," which is the belief that history=progress. That anyone, believer or unbeliever, could subscribe to such historical optimism in light of the twentieth century utterly baffles me. As a Christian I don't believe history, understood as an impersonal, cosmic force, has any agency of its own. However, I do believe in God's providential involvement in the world. To attribute any deliberative agency to history as such strikes me as an echo of Marx's material dialectic, which arose from Hegel, and so is the result of the so-called Enlightenment. It seems to me that the Enlightenment is now bending back on itself, thus giving rise to a new dark age. Indicative of this new dark age is the rise of the superstitious fatalism so prevalent in the West today, which takes the form of materialistic determinism. The best example of this is the widespread belief in scientism, which belief requires a leap of faith utterly divorced from reason (stay tuned for my Christmas homily late tomorrow night for more on this). Because I believe God guides (for lack of a better term) history in a deeply mysterious, mostly unfathomable, and always unexpected way, I believe there is a right and wrong side. I think where the Church is at today in terms of worldly influence, which influence, I think, will further diminish, is providential and will actually further the reign of God in advance of the end of history. Even though I have some philosophical qualms with his reliance on Jamesian pragmatism, I embrace Addison Hodges Hart's thesis, set forth in his very worthwhile book Strangers and Pilgrims Once More: More: Being Disciples of Jesus in a Post-Christendom World. To state my objection in an admittedly ham-fisted way, pragmatism as applied to religious belief by William James tends to avoid questions of true and false. This avoidance presents issues vis-à-vis Christianity; the most historical of the world's religions (I tend towards phenomenology with a Wittgenstinian twist). With Hart, I think that even if Christendom could be restored (a dubious proposition), it would not be for the best, as difficult and painful as witnessing its demise is for me. In the end, far from alarming us, the dismantling of Christendom should be an encouragement to Christians. Kierkegaard was right about this. In the words of REM, "It's the end of the world as we know it and I feel fine." For those of us in the U.S., despite the woeful laments of the culture warriors and contra much of Western Europe, our country was deliberately conceived as not a Christian nation, but as precisely the antithesis of such, even if our founders maintained an ambiguous, deistic insistence on the transcendence of the human person. This led to the creation of a constitutional system that reflects this ambiguity, the implications of which are becoming clearer, especially after last summer's Obergefell ruling by SCOTUS. One could make a compelling argument that the majority's opinion in Obergefell, which many found so inspiring, is the predictable impact point of this (il)logical trajectory. All of this is a pretty big admission for someone like me, whose religious upbringing quite explicitly sought to imbue in me a belief that the U.S. constitution is divinely inspired. For what it's worth, from the age I cared about these things, I never believed that was true, but is self-evidently false, like the religion itself (Thought experiment: apply Jamesian pragmatism to Mormonism). I also believe the "arc of history," to employ Obama's cherished phrase, which is largely determined by worldly powers, tends to arc towards the wrong side of history with very few exceptions. Even the exceptions tend become exaggerated over time, becoming unmoored from what is good and true, quite frequently leading to what I can only describe as illiberal liberalism. At least on my reading, a political study of the Hebrew Scriptures (i.e., the "Old Testament") reveals this. The books of Chronicles, which positively embraces temple cult and monarchy, is the exception to this, standing in contrast to the history presented in 1-2 Samuel and 1-2 Kings, the latter of which prevails in the subsequent history of Israel, which culminated with the descendent of David appearing as the most unassuming king imaginable, leading to His rejection by His own (see John 1:11). Perhaps the easiest way to determine if you're on the wrong side of history is to see if you're with the majority. Stated more succinctly, vox populi, far from being vox Dei, often (usually, if only eventually?) turns into vox diaboli. It bears noting that being in the minority in and of itself is no guarantee of being on the right side of history, which is far more difficult to discern than discerning whether you're on the wrong side. Not only in the end, but right now, neither history nor politics will save you. Political messiahs are ALWAYS false messiahs. At least for Catholics the question of universalism is resolved through both dogma and the witness of the saints, which confirms dogma. Despite this a tension remains that can never be satisfactorily resolved this side of eternity. Given that universalism has been condemned as a heresy and the witness of saints, like St Faustina, whose visions are at least de facto approved by virtue of her canonization, which came only after a very thorough review of her claimed personal revelations, the writing down of which caused her to be under suspicion for decades, I am not even sure any hope that hell will be empty is a well-founded hope. It goes without saying that nobody should desire the damnation of another, which desire itself is damnable. 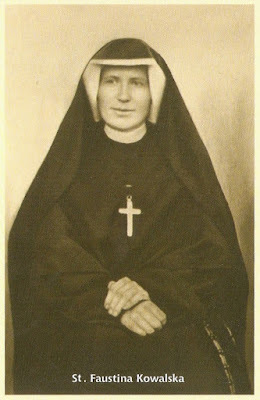 At a minimum, whether or not one accepts the private revelations of St Faustina or not (no Catholic is obliged to accept them as being of divine origin), they at least enjoy an imprimatur and a nihil obstat, which means that there is nothing in her writings that is contrary to the faith. My point? I think the tension between universalism and all way too narrow conceptions of salvation is unresolvable. In others words, the question, "Who will be saved in the end?" is unanswerable. In my view, the take away for Catholics is that we should not act presumptuously one way or the other. Not being presumptuous about ultimate things lets God be God. Was not the desire to be gods the original sin? Hence, we should not presume the someone has either gone immediately to heaven or is damned to hell. The best certitude we can attain is that the saints are in heaven. With the exception of the Roman Pontiff, who possesses the power to loose and bind, which power is exercised in communion, no person or group of people can canonize another person. Of course, in a human sense, we're all entitled our opinion, but the Church's clergy should not be throwing about heretical opinions when preaching during the Church's funeral rites, or when addressing this subject when preaching on other occasions or instructing the faithful. It also bears noting that the veneration of a holy woman or man after her/his death by the faithful is a legitimate exercise of the sensus fidelium, but this is communal. not individual, something that arises from communion and not presumption. It's here that I cut to the chase: as Catholics, praying for the dead and obtaining indulgences for souls in Purgatory are indispensable to the practice of our faith. It is by doing these things that we express our hope. As St Paul asked, "who hopes for what one sees?" (Rom 8:24) In light of this, why would you let your presumption trump your spiritual obligation to pray for the dead? The prophecy contained in our first reading from the book of the prophet Micah is startling for its specificity. Micah not only foretold God installing a leader over Israel from the tribe of Judah, but he accurately prophesied where that leader would be born: in the historical territory of the tribe of Judah, in “the city of David that is called Bethlehem” (Luke 2:4). Living in the late eighth and early seventh centuries before Christ, Micah likely experienced the Assyrian invasion of the Northern kingdom in BC 721 and the renewed threat Assyria posed to Judah, the Southern kingdom, twenty years later. In other words, Micah lived and prophesied in what were very dark times for the people of Israel. Nonetheless, even though it took nearly 700 years for the Ruler to be appear, Micah’s prophecy is one of hope, a prophesy about light overcoming the darkness, good conquering evil. Even now, we still await God’s ultimate triumph, when Christ the King will return to establish God’s everlasting reign. From our Christian standpoint, it’s fair to say that the vast majority of history takes the form of an Advent. In other words, most of history is spent waiting for God to put the world to rights, to restore the order of grace, which restoration is communion. But as followers of Christ we are not called to simply wait for it – though there is an element of that too – the Lord calls on us to be actively engaged in establishing God’s kingdom. God’s plan unfolds in and through history. The divine plan happens in space and time. The circumstances of our lives provide us opportunities each day to establish God’s kingdom. We often describe this tension between working and waiting as “living between the already and the not-yet.” Living between the already and the not-yet means recognizing that the reign of God has begun but is not yet complete. It’s a work in progress. 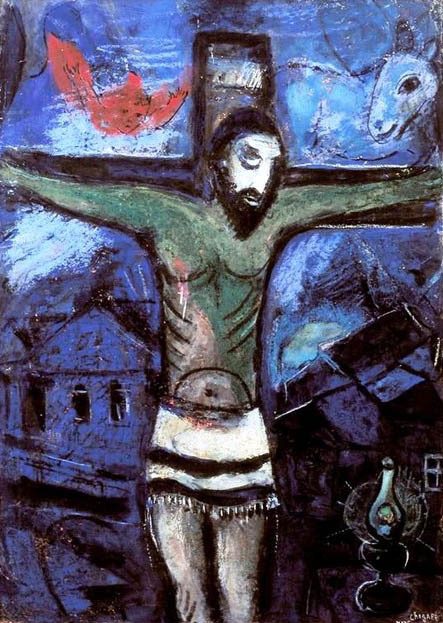 "the kingdom of God is among you"
In addition to being the ruler foretold by Micah, Jesus, as we hear in our second reading from the Letter to the Hebrews, is not only a priest, but the great High Priest, who offered the one acceptable sacrifice to the Father: Himself on the Cross. Martin Luther observed, “There is not a word in the Bible which is extra cruem.” In other words, every word in the Bible points to the Cross. Applying this interpretive strategy to our Lord’s nativity, we can see that the wood of the manger would one day give way to the wood of the cross. That the temple sacrifices were, indeed, a pale imitation of Christ’s sacrifice is noted by the author of Hebrews when he cited Psalm 40 to the effect, “Sacrifice and offering you did not desire, but a body you prepared for me; holocausts and sin offering you took no delight in” (Heb 10:8; Ps 40:7-9). In order to have a body to sacrifice, our Lord had to become incarnate, which He did in the womb of the Blessed Virgin Mary. Because of this we can rejoice because “we have been consecrated through the offering of the body of Jesus Christ once for all” (Heb 10:10). We are consecrated anew each time we participate in the Eucharist, which is what makes our participation not only important, but vital. Our Gospel for today tells of the Blessed Virgin’s visit to her kinswoman Elizabeth, the mother of John the Baptist. 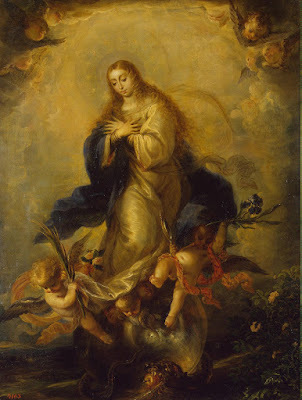 As Our Lady approached Elizabeth bearing her divine Son, in utero, the Baptist, himself not yet born, leapt in Elizabeth’s womb at His approach. Then, filled with the Holy Spirit, Elizabeth proclaimed words very familiar words: “Blessed are you among women, and blessed is the fruit of your womb” (Luke 1:42). The fruit of the Virgin’s womb is Jesus. In the last phrase of our first reading, the prophet Micah proclaimed that the ruler from Judah “shall be peace” (Micah 5:4). Christ is our peace. Through His Cross Christ reconciled us to God, to each other, and to the rest of creation, thus restoring us to communion. As those who have been consecrated through the Lord’s offering of Himself to the Father, we must be agents of reconciliation, that is, agents of mercy. This is what the Jubilee of Mercy is all about. To extend mercy to others, we must first receive it. To give us His mercy, Christ established the Sacrament of Mercy. We don’t go to confession to find out whether or not God will forgive us. We’re always already forgiven in Christ. We go to confession to experience mercy for ourselves, firsthand. Extending mercy to others means forgiving; even forgiving those things we might think unforgiveable. Only through mercy, the concrete manifestation of which is forgiveness, is peace made real, as opposed to remaining an abstract ideal. It is only through peace that God’s reign will be established. Peace is not achieved without a struggle. When I am wronged, it is difficult for me not react with hatred and condemnation. It is hard not to vindicate or justify myself by giving the person who wronged me what I deem s/he deserves. It is not only a challenge, but a provocation, to grasp the deep love Christ has for even the person who has harmed me most egregiously. As St Paul noted, “God proves his love for us in that while we were still sinners Christ died for us” (Rom 5:8). Above all, what we need to grasp, my friends, especially this time of year, when our faith tends to become very sentimental, that what enables us move beyond our condemnatory and self-absorbed attitudes is not our own righteousness, but that helpless Baby who was born to save us. Our traditio for this final Friday of Advent is The Revolutionary Army of The Infant Jesus' "After the End." Summary Conclusion: In November of 2015, it was alleged that a consecrated host (communion bread wafer) from Saint Francis Xavier Church in Kearns, Utah, appeared to be bleeding. A thorough investigation has concluded that the host did not bleed, but the change of appearance in the host was due to red bread mold. The consecrated host has been disposed of in a reverent manner, as is required. 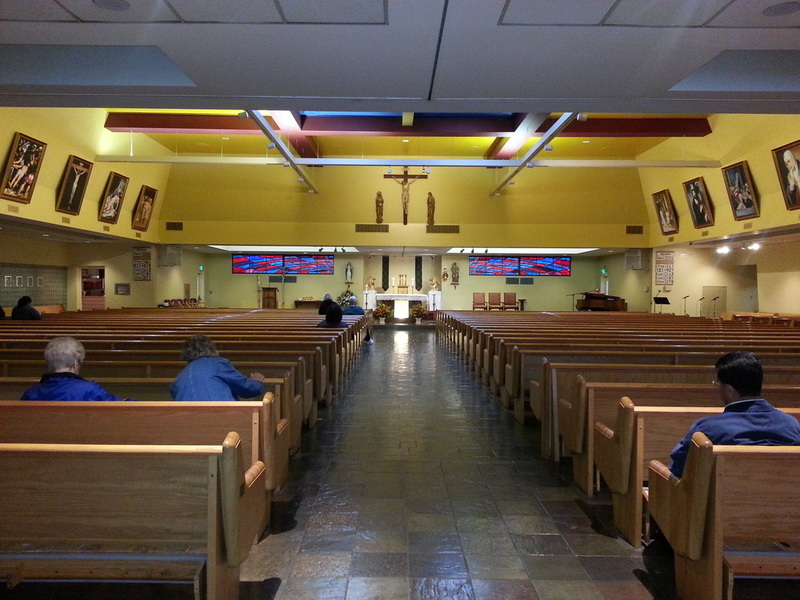 At Saint Francis Xavier Church in Kearns, Utah, on the weekend of November 14-15 of 2015, it was alleged that a host consecrated a week earlier at the 1:30 p.m. Mass on November 8 appeared to be bleeding. The host was publicly displayed at the Parish Masses. 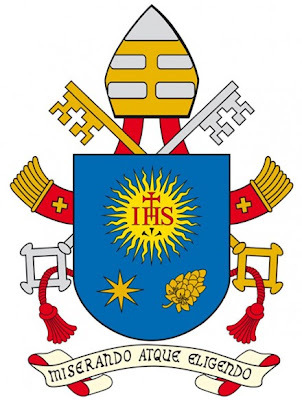 In the wake of the excitement generated by the premature and imprudent public display and veneration of the host, an ad hoc committee to investigate the matter was appointed on November 19, 2015 by the Administrator of the Diocese of Salt Lake City, Monsignor Colin F. Bircumshaw. This ad hoc committee included individuals with expertise in Catholic theology, canon law, molecular biology and ministry. The committee took into careful consideration all the events as reported by Reverend Eugenio Yarce, Pastor at Saint Francis Xavier Church in Kearns, Utah, and the numerous narratives offered by parishioners. A crucial element of these events was the fact that the host in question was left unprotected and unattended in a dish of water from approximately November 8 – 14, 2015. In an expeditious but careful manner the committee enlisted the services of a competent and credible scientist to conduct controlled testing of the host. Great care was taken to insure the reverent handling of the consecrated host throughout the scientific examination. Upon completion of the prescribed tests, the scientist, with the assistance of a blind observer, concluded that the observed change in the host could be satisfactorily and conclusively explained by natural causes, namely the growth of what is commonly known as “red bread mold,” or red bacteria, most likely Neurospora cressa or Serratia marcescens. Due to the public display of the host, a number of reports, complete with digital photographs and videos, rapidly began circulating in both the local and national media. Predictably, these reports led to rash speculation about what caused the change in the color of the host. In the history of the Church, by Divine Providence, miracles have taken place. The sole purpose of a miracle is to bring about good. False claims of miracles, on the other hand, cause harm to the faithful and damage the Church’s credibility. While not dismissing the possibility of miracles, understanding the potential harm of hastily jumping to conclusions should cause all the faithful, lay and clergy alike, to act with great prudence. The guidance of competent ecclesiastical authority is required when confronted with phenomena like that reported from Saint Francis Xavier Parish last month. The Church presumes that most situations appearing to be extraordinary phenomena are actually the result of natural causes. This is why the Church sets the evidentiary bar for proving a miracle quite high. In such matters the Church undertakes a thorough and unprejudiced examination of events that may appear to be miraculous. If, after a thorough investigation, the specific phenomenon can be satisfactorily and conclusively explained in natural terms, then a directly supernatural cause is ruled out. The alleged “bleeding host” from Saint Francis Xavier Parish is explained as a natural phenomenon. After a thorough investigation, the ad hoc committee unanimously concludes that the observed change in the host was not miraculous but resulted from the growth of red bread mold. In addition, the ad hoc committee determined the need to establish proper protocols for clergy dealing with such situations in the future. Catholics should take this opportunity to renew their faith and devotion in the great miracle of the Real Presence which takes place at every Eucharist. One of the little appreciated treasures of the Liturgy of the Hours are the Alternative Prayers for Sundays and some solemnities. I hope these are retained in future revisions. for he is Lord for ever and ever. Amen. Marantha. Come Lord Jesus. "We long for the time when all time is past." 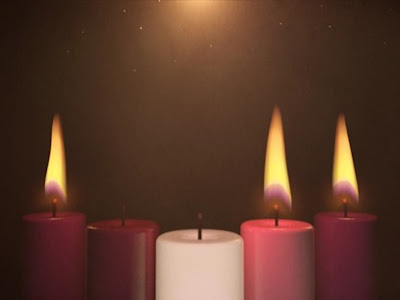 This week the Church observes the Third Sunday of Advent, or, Gaudete Sunday. Gaudete is Latin for "rejoice." While the introit for Sunday Mass is not sung or even recited in most parishes, the name "Gaudete Sunday" is taken from the first word of today's introit: Gaudete: "Rejoice in the Lord always; again I say, rejoice. Indeed, the Lord is near." Perhaps more recognizably, this is the Sunday of Advent we light the rose, or pink, candle. Today's introit is taken from the passage that the Church chose to be the New Testament epistle reading for the Third Sunday of Advent in Year B: Philippians 4:4-7. In this reading St Paul delivers a prescription for anxiety: "Have no anxiety at all, but in everything, by prayer and petition, with thanksgiving, make your requests known to God. Then the peace of God that surpasses all understanding will guard your hearts and minds in Christ Jesus." One who is possessed of a heart and mind guarded by Christ Jesus is one who heeds what St John the Baptist bids be done when he was asked by his hearers, "What should we do?" The essence of the Baptist's answer is, "Don't be greedy, or stingy." Summed up even more concisely, "Act justly and mercifully." He then proceeds to dispel any thoughts that he was the Messiah. Nonetheless, he continued to preach the good news, the evangelion, the Gospel. Only recipients of this good news can truly rejoice. Our reading from the book of the prophet Zephaniah also tells us why we should rejoice: "Be glad and exult with all your heart, O daughter Jerusalem! The LORD has removed the judgment against you he has turned away your enemies" (Zeph 3:14b-15a). This is why knowing the Lord is the remedy for anxiety, stress, worry, fear, etc. It is helpful to keep in mind that Zephaniah, a contemporary of the the prophet Jeremiah, wrote in the midst of a Jerusalem in the thrall of idol of worship and moving rapidly towards being destroyed, Paul wrote the Philippians while he was a prisoner in chains, and John the Baptist proclaimed his message in a Judea occupied by the Romans. It was from the darkness that each of these men sought to lead others to the Light. As Christians we rejoice because in Christ we are already victorious, no matter what circumstances we may be facing. Rather than being a Psalm, our responsorial for this Sunday is taken from Isaiah. Our response from Isaiah strikes a harmonious chord with this Sunday's theme of rejoicing in what God has done for us in Christ: "Sing praise to the LORD for his glorious achievement; let this be known throughout all the earth. Shout with exultation, O city of Zion, for great in your midst is the Holy One of Israel!" On this Third Sunday of Advent, when the season makes a pivot, changes in character from a focus on penance in light of the Lord's return to usher in the end of time, to a recognition that Lord is not only near, but by His Nativity, which made possible His passion, death, resurrection, ascension, and sending the Holy Spirit, He is already here in our midst. This is why we're frequently exhorted to live the tension between the already and the not-yet. We call living this tension, this mystery, which unfolds only through experience, only through our lives, made up as they are of the circumstances we face each day, faith. So today let's rejoice that we have faith in Him who is, who was, and who is to come. Let's not waste time, but redeem it, using it to live our faith, which is a precious gift. Without faith there is no hope. Without hope there is no charity. Hope is the flower of faith and charity is its fruit. Let's not forget the Baptist's exhortation by remembering that there are three divinely given spiritual disciplines that correspond to the three theological virtues (i.e., faith, hope, and love): prayer, fasting, and alms-giving. While what the Baptist exhorts us to do in our Gospel focuses on alms-giving, he does not do so to the exclusion of prayer and fasting. By God's grace, let's persist as we resolve to run forth to meet Christ. "Oh, you should see my trail of disgrace"
As we steady ourselves to turn the corner of Advent, coming to the end of the week that began with the Baptist's call to repentance, our traditio for this Second Friday of Advent is a shortened version of an old song, Felt's "Primitive Painters," featuring the lovely Scotswoman Elizabeth Fraser on guest vocals. "Primitive Painters" was released in 1985 on Felt's Ignite Seven Cannons album. Today, the Solemnity of the Immaculate Conception of the Blessed Virgin Mary, the Church begins her Extraordinary Jubilee of Mercy, which lasts until the Feast of Christ the King next year. Mercy is always extraordinary because it runs so contrary to our fallen nature. Our Lord Jesus Christ taking on flesh in the womb of the young virgin was Divine Mercy, which is why we bow when professing the Creed as we utter the words "and by the Holy Spirit was incarnate of the Virgin Mary, and became man." 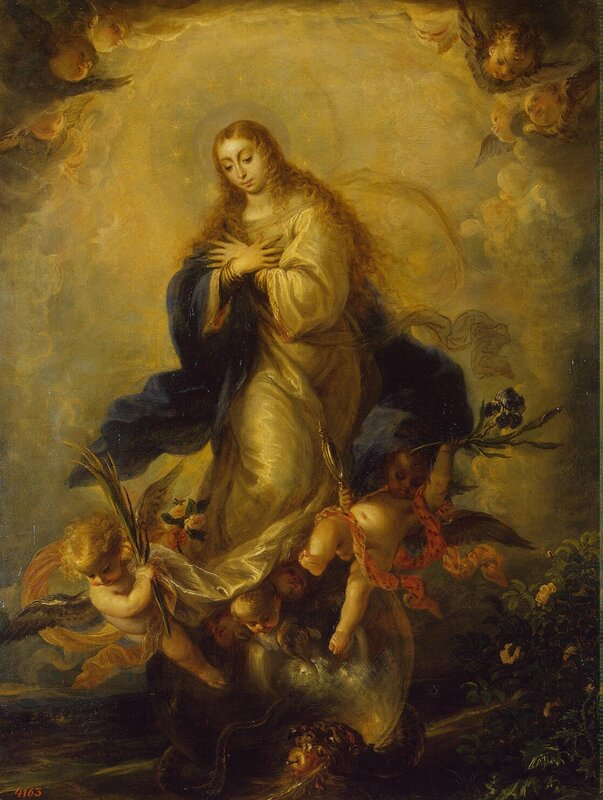 It is quite extraordinary "that the most Blessed Virgin Mary, in the first instance of her conception, by a singular grace and privilege granted by Almighty God, in view of the merits of Jesus Christ, the Savior of the human race, was preserved free from all stain of original sin . . ." (Ineffabilis Deus). In this God showed great mercy not only to the young Miriam of Nazareth, but to every son of Adam and daughter of Eve. Divine Mercy is the only remedy for what ails us. And what ails us is sin, which alienates us from God, from each other, from creation, and even sets us at odds with ourselves. But in order to receive mercy you must accept it. In order to accept it, you must acknowledge that you need it. Even the Blessed Virgin had to consent, give her Fiat, to what God wanted to do in and through her. Like the Blessed Virgin, you too must say "Yes." Don't be content to substitute presumption for mercy. It is only by receiving mercy that you begin to change, begin to be converted. Our need for mercy is on-going, which is why there is a sacrament for it, the Sacrament of Penance, which is truly the Sacrament of Mercy, a fountain of grace without which one cannot live the new life received in Baptism. In the lead up to this Extraordinary Jubilee Pope Francis has invited us all to make recourse to the Sacrament of Mercy often. Just as we can only love because we are loved, so we can only be merciful because we have been shown mercy: "Blessed are the merciful, for they will be shown mercy" (Matt 5:7). By refusing to accept mercy, which requires the humble acknowledgment that you need it, you render yourself incapable of extending it to others. for you kept her sinless from the first moment of her conception. in our hearts her readiness for faith. Having finished reading Tolkein's The Hobbit for the first time a few months ago with my 10 year-old son, we are now reading The Fellowship of the Ring. I took great heart from the fact that it was not until he turned 50 that Frodo Baggins began to experience a restless stirring, followed shortly by a visit from Gandalf. It was not until Gandalf's visit, which came several years after his previous one and 20 years after Bilbo's dramatic departure from the Shire and renunciation of the One Ring, that Frodo learns what even Bilbo did not know. Gandalf, who spent at least 9 long years learning about the Ring, unfolds for the younger Mr Baggins just what it is, along with the inexorable power it exerts over its ostensible owner, and why it is ruthlessly sought after. Additionally, the wizard tells Frodo how he (Frodo) came to possess the Ring. He does so to aid the hobbit in grasping the imminent danger his possession of the Ring poses not only to himself, but the Shire. As it turns out the dark lord, Sauron, now knows that the Ring is in the Shire and possessed by a Baggins from the now badly deformed hobbit-like creature who possessed the Ring prior to Bilbo: one Gollum, formerly known as Sméagol. Upon learning the true story of how Bilbo came to have the ring, Frodo laments to Gandalf that Bilbo did not kill Gollum when he had the chance. Gollum, while still known as Sméagol, obtained the Ring by murdering his companion Déagol, who found the Ring on the bed of the river Gladden while fishing as Sméagol practiced his strange subterranean botany. It is here that Gandalf's great wisdom is made most manifest. After listening to Frodo say, "What a pity that Bilbo did not stab that vile creature [Gollum], when he had a chance," Gandalf retorts, "Pity?" The wizard goes on to explain, "It was Pity that stayed his hand. Pity, and Mercy: not to strike without need. And he has been well rewarded . . . Be sure that he took so little hurt from the evil, and escaped in the end, because he began his ownership of the Ring so. With Pity." 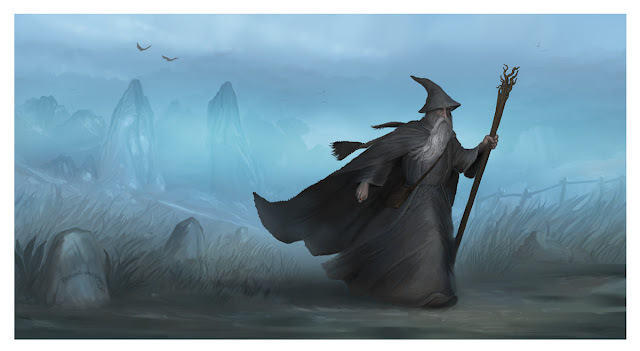 And so it seems that waiting for Gandalf differs from waiting for Godot because sooner or later Gandalf turns up. When he arrives things begin to happen, not things noticed by most people apart from those he quietly visits, at least not until the journey is over and the adventures are turned into legends. The adventure to which your are summoned is one you would never choose to undertake on your own and one you know up-front you can't complete by yourself. It is an adventure that stretches you not only to your limits, but, like Bilbo's adventure with the dwarfs, you are stretched well beyond your known and accepted limits, thus causing you to look at yourself in a new way. It is said that misery loves company. At least in my experience, misery always threatens to spread like a highly contagious virus. With the major push towards the passage of an assisted suicide law here in Utah and elsewhere, in the name of mercy no less, the truth of this old axiom is becoming more readily apparent all the time. In a recent article for USA Today, "Suicide by any other name," Kirsten Powers did a wonderful job showing the subterfuge used to gain support, even if only of the passive, libertarian variety, which is perhaps best articulated by the James Bond slogan, "live and let die." Let's face reality, if a person is intent on killing himself, I mean really committed to ending his life, there is little, if anything anyone can do. In a very real sense, a person intent on ending his life is "free" to do so. In fact, far too many people exercise this existential option at an accelerated pace each day, enlisting no help whatsoever. Not being a legal positivist, I still favor laws against suicide because I think one of the purposes of law is to express what we value. If we value human life as much we claim, then any intentional taking of a person's life (self-defense is a reaction, not an intentional taking) should be forbidden by law. This brings up the inevitable question of how to treat someone who attempted suicide and failed. Certainly not by throwing them in the state pen, just to throw any conclusions off that trajectory. Today I read a story in Great Britain's Guardian: "Court grants woman right to die after 'losing her sparkle.'". Keep in mind, to the country's great credit, Great Britain's parliament rejected an assisted suicide bill this past September (see "Right to die: MPs reject assisted dying law"). This particular case is somewhat complicated, but the woman's desire to die stems from what she described as life losing its "sparkle." This woman's request does not permit her to obtain assistance in directly ending her life because assisted suicide remains illegal in Great Britain. But the court granted her permission to forego kidney dialysis, a treatment necessary for her survive due to an apparently near-fatal alcohol binge she went on after being diagnosed with breast cancer. It seems to me that in a jurisdiction in which assisted suicide is permitted, even if such requests are initially limited to, say, people who are diagnosed with a terminal illnesses, there would be no rational basis on which the courts could deny requests from anyone who wanted "medical" assistance ending his life. What prevents such assertions from being dismissed as slippery slope fallacies are what might be called identifying a causal nexus. I will use the case of "Laura" in Belgium from this past July to make this point. While her case stops well-short of euthanasia, which I believe surely follows closely on the heels of assisted suicide (another issue for perhaps another day), it is disturbing nonetheless (see "Right to die: Belgian doctors rule depressed 24-year-old woman has right to end her life"). As with redefining marriage, legally permitting assisted suicide put us on an inherently regressive course the end of which ought to frighten everyone. Getting back to misery: Why do people who want to end their lives seek to make others, in this case doctors and other medical professionals, as well as friends and family members, complicit in their metaphysical rebellion? Beyond those effects, why seek to coerce everyone in society to not only tolerate, which concept in such matters is only ever employed as a Trojan Horse, but to positively accept as moral and even good something they hold to be evil? For physicians who oppose assisted suicide, even when granted a conscience clause that exempts them from directly assisting someone to commit suicide, they are usually required by the law to refer the suicidal person to a doctor who will assist him. While this certainly lessens moral culpability by making their cooperation with evil more remote, it does not eliminate it altogether. Of course, refusal to make a referral would open a doctor up to ruinous liability. As John Donne observed in his timeless poem "No Man Is An Island"
This morning I read something by Fr Stephen Freeman, who is an Orthodox priest, that I found both refreshing and reassuring: "You Barely Make a Difference and It's a Good Thing." While I was convinced of this even before reading Fr Stephen's post, I appreciate very much his timely reminder. Indeed, ever since it occurred to us to make the world a better place the pace of ruination has only increased despite the palpable material betterment of much of humanity, which comes at the expense of others. It occurs to me that ceasing any attempts to usher in progress, which only turns out to look more like regress, fosters in me an attitude of hope. As C.S. 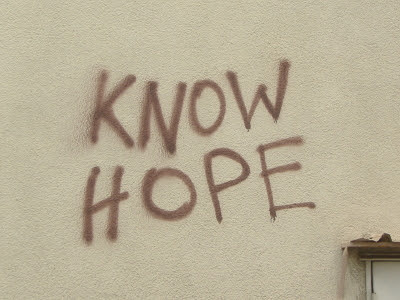 Lewis observed: "You cannot hope and also think about hoping at the same moment; for in hope we look to hope's object and we interrupt this by (so to speak) turning around to look at the hope itself" (Surprised by Joy, chapter XIV). Reading this immediately brought the image of Lot's wife to mind. It seems to me that in our efforts to make the world a better place we have only the vaguest of notions as to what "better" is and no idea whatsoever of the good, which cannot be conceived without both truth and beauty or without a transcendent teleology of the human person. At the expense of fixating on it, it seems the best that the popular imagination can produce in terms of a better world is something along the lines of John Lennon's utterly banal "Imagine." I want to be clear that by taking aim at "Imagine" I am not denigrating the song's composer. While it may blow many minds to even consider such a possibility, it may well be the case that prior to being murdered Lennon became a Christian (see "Did John Lennon Become a Christian?"). What is even more interesting is that Lennon's interest in Christianity seems to have been almost exclusively in its contemporary Evangelical form. Getting back to hope, specifically our inability to hope and think about hoping at the same time, it seems that our attempts to make a difference in the world amount to something like trying to do what Lewis, whose thought here is rooted in the philosophy articulated by Samuel Alexander in his Space, Time, and Deity, originally delivered as Glasgow University Gifford Lectures from 1916-18, held to be impossible. Perhaps the simplest way to define hope is as the desire for something coupled with the expectation of obtaining it. What is the object of Christian hope? God. Describing his way to conversion in the same chapter of his memoirs I cited above (his conversion was truly began on the upper deck of a double-decker bus), Lewis confessed, "I did not yet ask, Who is the desired? only What is it?" 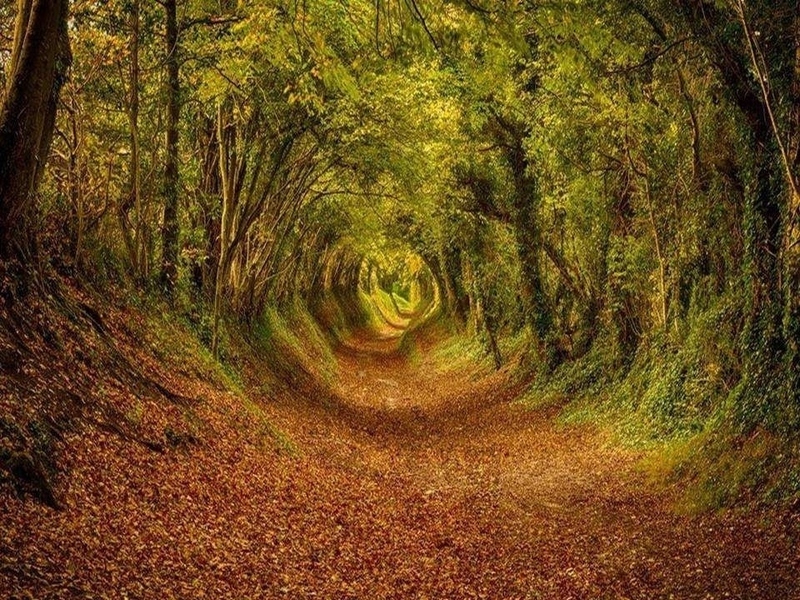 He went on to describe the necessity of finding the road that leads one outside, or beyond, one's self. According to Lewis, somewhat paradoxically, the road that leads me outside myself begins in "deepest solitude." If my own experience is anything to go by, it is in deepest solitude that I realize the object of my desire is Someone, not some thing. Fr Stephen ended his post by pointing out that to give up trying to save the world does not mean giving in to despair. On the contrary, it is giving in to hope. How does one give in to hope? "Feeding, clothing, visiting, etc., are very homely practices (Matt. 25[:31-46]). It doesn’t take all of the resources of the modern world to do them. They are all immediately at hand." I've been thinking once again about Christian universalism, the idea that, in the end, everyone is saved, that all attain heaven. The reason I have been pondering universalism is because I just read a great antidote for it: C.S. Lewis' The Great Divorce. Since becoming a Christian in my mid-20s, my conception of last things (i.e., death, judgment, purgatory, heaven and hell) is fairly consonant with Lewis'. Setting aside any detailed attempt at analysis and comparison, what I want to note is that, without a doubt, God is generous with salvation. After all, revelation tells us that God desires all to be saved and to come to a knowledge of the truth (1 Tim 2:4). In The Great Divorce Lewis does a masterful job of illustrating how the refusal of salvation might look. It basically boils down to one's refusal to repent, that is, to resist being changed, or failing to even to grasp that one needs to change, and to demand, in a godlike manner, that reality be reduced to my measure and conform to my will. This refusal takes as many forms as there are refuseniks. It boils down to refusing to let go of anything and everything that is antithetical to the end for which one exists. In the end, what you desire for yourself must conform to what God desires for you. Praying the Office of Readings today (something I do when I don't pray Morning Prayer) I came across an excerpt of a treatise on patience by St Cyprian. In this portion of his treatise, Cyprian sought to highlight the importance of perseverance and patience to salvation: "Dear brethren, we must endure and persevere if we are to attain the truth and freedom we have been allowed to hope for; faith and hope are the very meaning of our being Christians, but if faith and hope are to bear fruit, patience is necessary." It occurred to me that the phrase- "if faith and hope are to bear fruit, patience is necessary"- expresses the spirit of Advent very well. Advent is a time of waiting. Waiting, as we all know, requires patience. Since waiting constitutes most of history and a lot of our lives, it seems that practicing waiting is an important way to begin each new year of grace. Before anything else, a Christian must experience metanoia, or repentance. Why? Because everything else depends on this experience. Maybe the best way to describe repentance is the realization both that I need to change accompanied by some idea of what and how much I need to change, followed by the realization that I am incapable of completely transforming myself. In other words, repentance is a process that takes time. It is not a one time deal akin to what many call "getting saved." Can God change me in an instant? Sure. In truth, through baptism God does bring about such an instantaneous change. God also does this whenever I make a good confession. God is merciful. But what good is the offer of mercy if you don't accept it? How can you accept it if you don't think you need it? Because repentance is a process, so is justification. But even after baptism, even after making a good confession, the pull of my godless ways remains. We call this pull concupiscence. Because this is the reality in which we live, fallen though it be, we need to learn patience, not just patience with God, but also patience with ourselves, as well as patience with others. Letting one's self be changed in this way is the main work of any Christian's life. St Paul assured the Christians in ancient Philippi of his confidence that God would "continue and complete" the "good work" He had begun in them until the coming of the Lord. I firmly believe that those of us who have experienced repentance can also rest assured in the Apostle's promise. For those who have not repented, it is not too late. In this life it is never too late. This is the call of the Baptist, which we hear anew each year on the Second Sunday of Advent: "Prepare the way of the Lord, make straight his paths" (Luke 3:4). Increasingly I don't feel the need to be obnoxious about my faith, especially at this time of the year when it seems to me that many of my fellow Christians, skipping Advent entirely, observe "the Christmas season" by complaining about the fact that many people they encounter have the audacity to wish them "Happy Holidays" instead of "Merry Christmas." 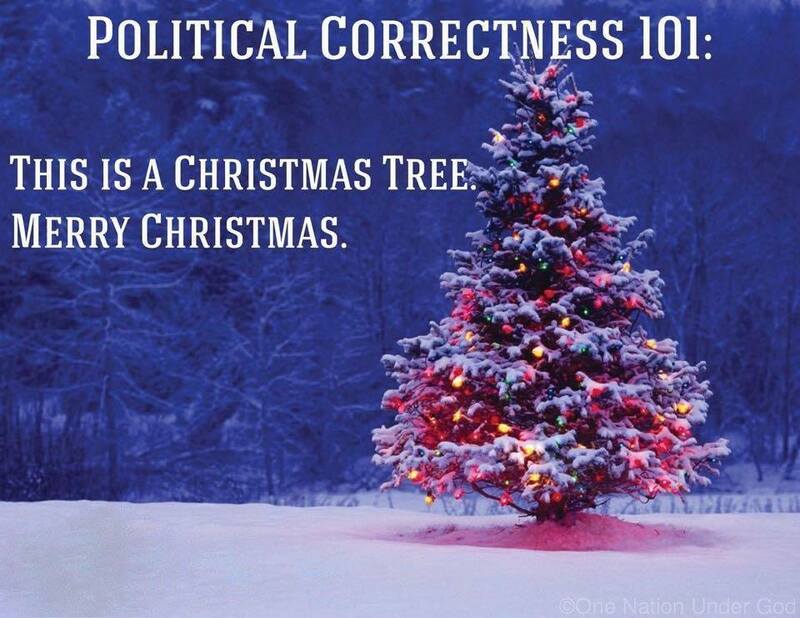 At least for me, Christmas is first and foremost a religious observance. Yes, I used the word religious. I am unapologetically religious and wholeheartedly affirm that Christianity is not only a "religion", but true religion featuring a cultus and everything. By "religious" I don't mean private, but I do mean sacred. By "sacred" I mean set apart, consecrated, thus making it a time for celebration and joy, not joyless solemnity. 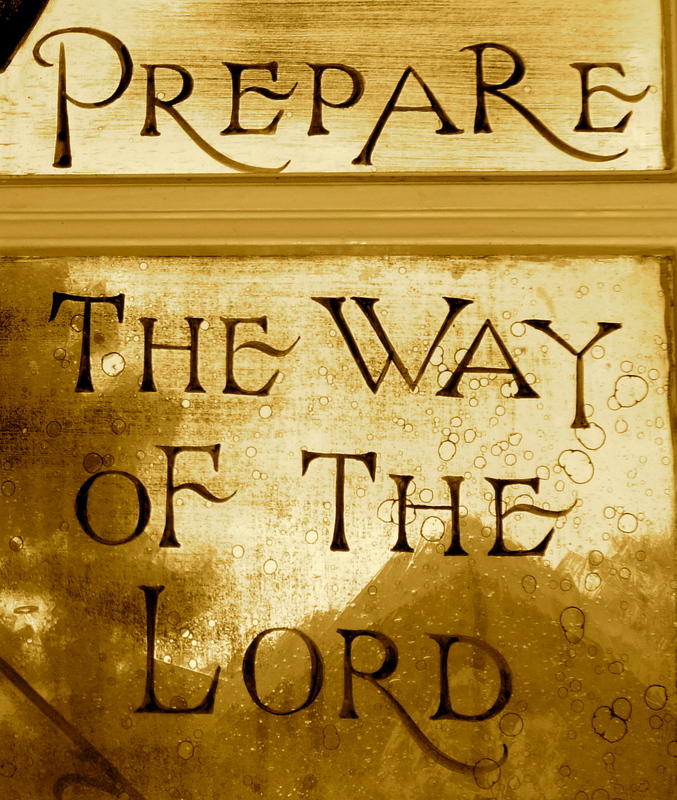 Even Advent, taking it's cue from the sacred liturgy, is a time of waiting in joyful hope. Whether you look at the Decalogue or take your cue from Christ's two great commandments, the first commandment is about worshiping God, loving Him with one's entire being. I believe that human beings are made to worship, that is, to commune with God, with each other, and the rest of creation. Hence, at our deepest level we are homo adorans. Earlier this week, in my post about Advent, I wrote about my uneasy relationship with what my society and culture observe as "the Christmas season." To be honest, I deal with it by not dealing with it and simply enjoying the dark, quiet of opting out to the extent I am able. 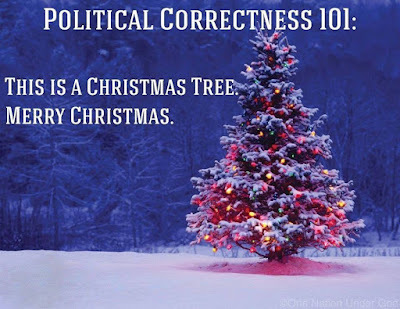 In a culture that is increasingly post-Christian - a trend I don't see reversing anytime soon - I can think of nothing less important, nothing more counter-evangelical, than obnoxiously insisting people, stores and restaurants, etc., wish me a Merry Christmas. In other words, I choose not to attempt "evangelizing" by taking everyone hostage by my eagerness to be loudly offended. On the other side of the coin, I very much suspect that the whole flap over the plain red Starbuck's cup was an exaggerated set-up, one for which only the least aware and most aggressive of the Christian cultural hostage-takers took the bait, whether they were decrying Starbuck's design or criticizing those who decried Starbuck's design. In other words, given Starbuck's "social" commitments, nobody was surprised that the corporation that invited people who support marriage to divest from the company did not feature a manager scene on their coffee cups, something I would've found far more disturbing. 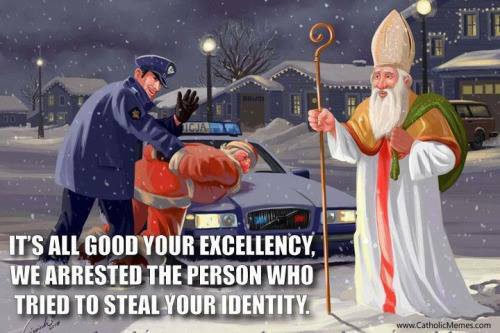 Tomorrow is St Nicholas Day. St Nicholas of Myra, of course, is the basis for Santa Claus, for Jolly Old St Nick, and all that. Most people, I think, have at least a vague awareness of this connection. It is a connection, not an identity. Growing up in a quasi-Christian milieu I am pretty sure I had some vague awareness of this connection. No doubt the famous incident of Nicholas, who was a participant in the Council of Nicea, punching a fellow council father will be drug out and applied to all kinds of things as a rationalization for the anger that arises from our inability to forcefully impose Christmas on society at large, especially store clerks. The next annual manifestation of this will be all the complaining about those who only turn up at Church on Christmas and Easter. I realize that Pope Francis' off-the-cuff, impromptu style is often imprecise much to his own detriment, but I think it is really these attitudes, from which I suffer at times, are the targets of his sometimes blunt words. All of this ought to bring us to a clear decision point each and every Advent. The question we need to answer is, "Do we want to make a pedantic point, or create the conditions for an encounter?" Pope Francis has repeatedly called on us to actively create conditions under which we truly "encounter" others, especially those on the margins and those with whom we may differ on fundamental matters, most, if not all of whom, do not share our beautiful faith in Christ, which is a gift from God. In an article from a few years back on the origins of Pope Francis' call to create places of encounter, Michael Sean Winters provided a succinct description: "The capacity to encounter is about the Christian’s stance towards the world and especially towards other persons, the ability, achieved through grace, to stand towards the world as Christ stood towards the world." Wasn't Christ's taking on human flesh first in the womb of the Blessed Virgin and then in the manger in Bethlehem precisely to create an encounter? Wasn't His dying, rising, ascension, and sending the Holy Spirit- by whom and through whom He remains present in us and among us- done to create the conditions for and possibility of an encounter? What will His glorious return be if not the beginning of the unending encounter for those who seek Him, who recognize "Jesu, Joy of Man's Desiring"? "You make me feel like I am whole again"
I think we make a big mistake by nearly always assuming that love songs are only about the love between a man and a woman, or any two human beings. I believe that many contemporary songs can be listened to with a different focus. Quite a few "love" songs were written with something more transcendent in mind. If not intentionally, then many love songs certainly have enough multivalence to resist being reduced. Anyone who thinks that the human longing for transcendence has been utterly eradicated simply doesn't pay enough attention to what's going on. Stated more succinctly: "In this is love: not that we have loved God, but that he loved us and sent his Son as expiation for our sins. 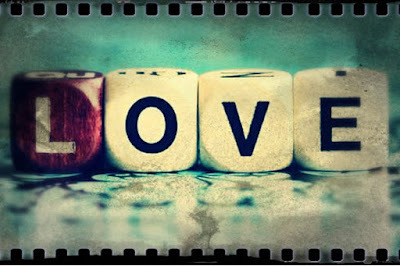 Beloved, if God so loved us, we also must love one another" (1 John 4:10-11). "Lovesong" by The Cure as covered by Nataly Dawn strikes me as the perfect tradito for the First Friday of Advent. - as Christ loved us for God's glory. I am traveling this week for work. This morning my lovely wife sent me via email a post from the blog "Dappled Things" entitled "The Advent Curmudgeon." She wrote, "When I started reading this, I thought you had written it!!" While I did not write it (Michael Rennier did), it is a piece that sums up my attitude towards this time of year very well. 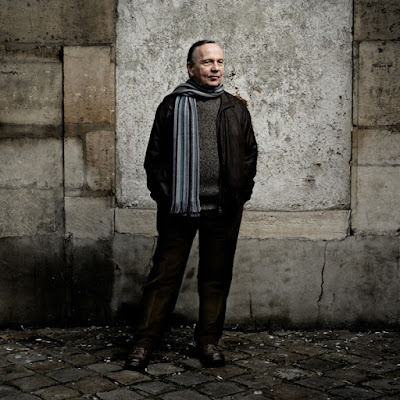 Like Rennier, I am inclined to be one of those "emotionally warped anti-Christmas crusaders [who] maintain a penitential Advent with nary a wisp of mistletoe in sight." I'll readily admit that there were years I attempted to observe Advent in such a puritanical spirit. But experience has taught me to that the best way to observe Advent is to do what Rennier suggests and simply observe the Church's calendar. This is an antidote to my seasonal loathing my lovely wife seized upon years ago. In Western culture, which, at least in my view, has been correctly characterized as The Burnout Society, we don't know how to wait. Christians are often caught up in impatient behavior, which is wholly antithetical to our faith. But a lot of life and most of history consists of waiting. 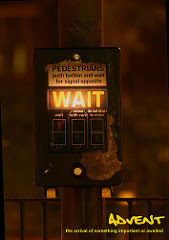 What does it mean to wait in joyful hope? This is the question I am pondering over the course of this Advent season. With Dr Tim O'Malley, Director of Notre Dame University's Center for Liturgy, I grow suspicious of promotions like "Best Advent Ever," which strike me as attempts to Osteenify U.S. Catholicism. I think Tim's reason for rejecting these kinds of things quite sound: "It seems to play into an American spiritual assumption that it is the best that matters. That liturgical seasons are about self-improvement rather than keeping alive the memory of Christ anew." So the last thing I need is to load up on "Advent resources." What do I need to do? Shut-up and sit down. Stop, be quiet, and wait in joyful hope, keeping memory of Christ anew. I hope it isn't either maudlin or pedantic to point out that Advent is about holy waiting for the light to dawn anew in our hearts: "What came to be through him was life, and this life was the light of the human race; the light shines in the darkness, and the darkness has not overcome it" (John 1:3b-5). In a word, Advent is about hope, which is the least understood of the theological virtues. While faith is discussed to the point that it begins to fold back on itself, while love, like Christmas, is often reduced to mere sentiment, more than anything hope, the flower of faith, is an experience. Today, the first day of Advent, I discovered someone new quite unexpectedly. I made my discovery browsing the blog of Darton, Longman, and Todd. The name of the person whose writing I discovered is Christian Bobin (see 'Get Moving, Jonah, I'm Waiting'). At the bottom of this post, which features an excerpt from a recently translated anthology of Bobin's writings, The Eighth Day, I found a link: www.christianbobin.com. When you go to the link there is a single selection: ENTER. Upon entering you are immediately connected to the page "About Christian Bobin." It is also noted on this page that Bobin's books sell in France "in quietly astonishing numbers." In my heart of hearts, for as long as I can remember, I have longed for the luxury of an eventless life along the lines of what is described on Bobin's "About" page. But somehow events keep catching me. I suppose my purpose this Advent, then, is to wait until it no longer seems like waiting. Doesn't waiting constitute most of history and most of our lives? Let's be honest, doesn't it sometimes seem like we're waiting for Godot, or who knows what? But reading this short blurb about Christian Bobin made me nostalgic. Without a doubt I shall read Eighth Day.